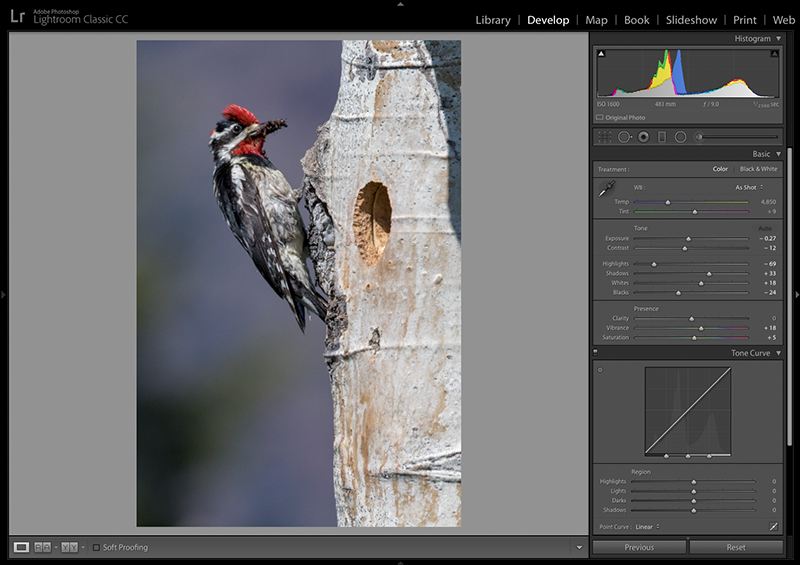 Adobe has announced updates to the entire Lightroom CC ecosystem as well as updates to Lightroom Classic and Camera Raw. In addition to the new features described below these updates include important bug fixes, and support for recently released cameras and lenses. ‘Auto’ has been completely reworked to create better results. Using an advanced neural network powered by Adobe Sensei, the new Auto Settings is said to produce a better photo. It does so by analysing your photo and comparing it to tens of thousands of professionally edited photos to create more pleasing images. In above example, the new auto technology has determined that Vibrance and Saturation has been applied in addition to basic tonal adjustments. 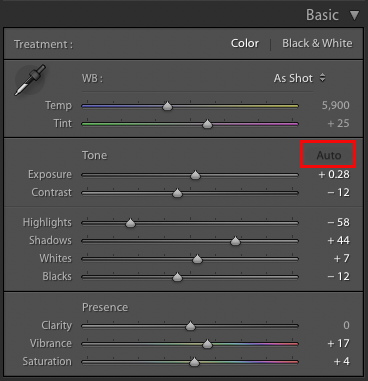 Whether applying these colour oriented adjustments automatically will be well received is no doubt a question Adobe will be looking for feedback on. Personally, I’ve not found either to be too far from those that I would normally set myself, and am generally happy with their inclusion. Likewise, I’ve found the tone corrections the new auto applies to be very good in all but a two areas (i.e. skin tones and backlit images). In addition to Lightroom Classic, the new Auto is available ecosystem wide, including in Lightroom CC, Lightroom CC for iOS, Lightroom CC for Android, Lightroom CC on the web, and Adobe Camera Raw (ACR). Adobe has also made a refinement to the Colour Range Masking tool in Lightroom Classic and Camera Raw. Based on customer feedback, they’ve made it easier to remove individual sample points. You can do this by holding down the Alt (Win) or Option (Mac) key while using your mouse to select the sample point. Customers who have their cameras set to save compressed raw files might notice a speed-up in rendering previews from a new set of imported images. You may also see improvement in on-screen interactive adjustments and import/export/merge processes. When I published my brief overview of Lightroom CC on Desktop back in October, I mentioned that some important editing tools were missing. With this latest update two of the missing features have been added. The Tone Curve is a very popular tools used by photographers to provide advanced control over the tonality, contrast, and colour balance of an image. However, as initial adopters of Lightroom CC on Desktop quickly realised it was absent. This was a strange omission, especially since the feature has existed in the iOS and Android versions for some time now. The good news for customers who missed it is that it’s now available on the CC desktop application. You can use either the Parametric Curve or the Point Curve modes to tune the tonality and contrast of the image. Additionally and like Lightroom Classic, you can also adjust the Red, Green, and Blue modes to modify the colour balance of the image. The Tone Curve lives next to the Auto button in the Light panel. Split Toning allows you to stylise your photo through colour tints in the highlights and shadows of your image. You can use the Split Toning tool to simulate traditional black and white tints and toners like sepia or selenium toners, simulate printing on coloured paper, or create a modern stylization on colour images. 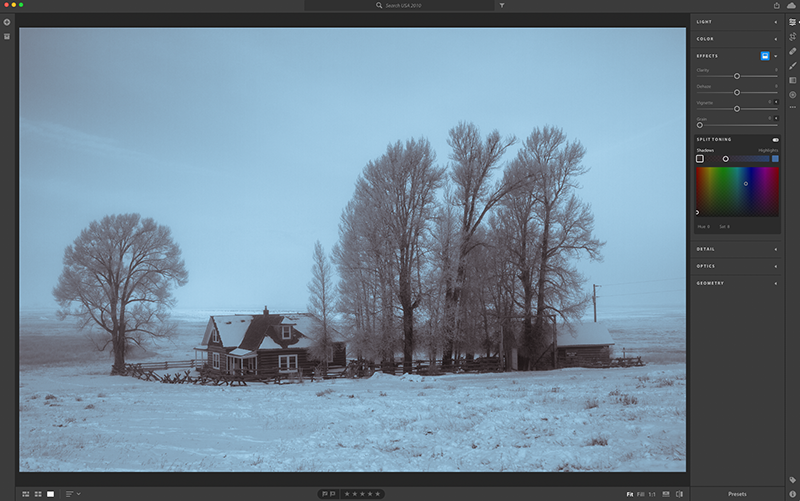 Split Toning lives in the Effects panel. 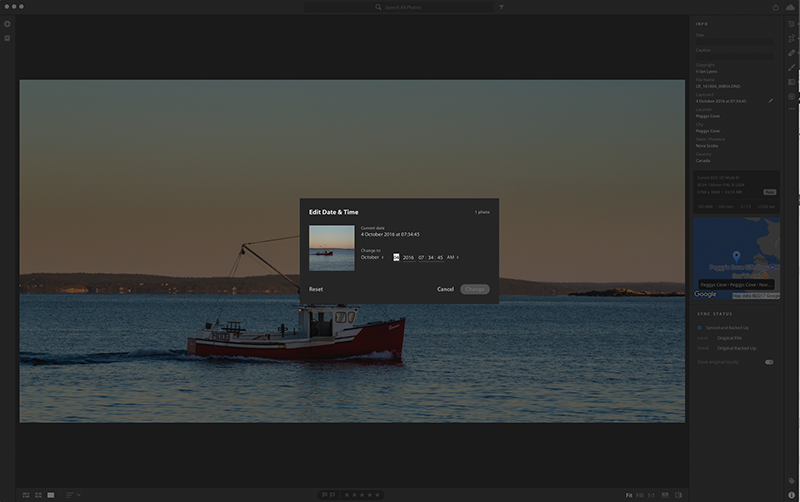 Lightroom CC now lets you to adjust the capture time, for both single photos as well as a set of photos. Typically, this feature will only be used when you forgot to change your camera’s time or time zone settings. To use the Capture Time editor, select a photo (or series of photos) and use the pencil icon in the Info panel to change capture time. Lightroom CC will update the capture date, and your photos will now show up on the right date and time in the organise view. I suspect I’m in a minority when it comes to full screen view as I have no love for same in any application. That being said, many customers find it useful, and made their feelings known soon after Lightroom CC on Desktop was launched. Obviously, Adobe heard the complaints and full screen view is now supported. To view your photos in full screen, you can use either the F key or navigate to View-> Detail Full Screen. Resolved a problem that prevented some Samsung customers from installing the previous version.Bug fixes and speed improvements. Watermarking on export. You can now create and customise a text based watermark for use when exporting your image from Lightroom CC on iOS. Layout optimized for iPhone X. 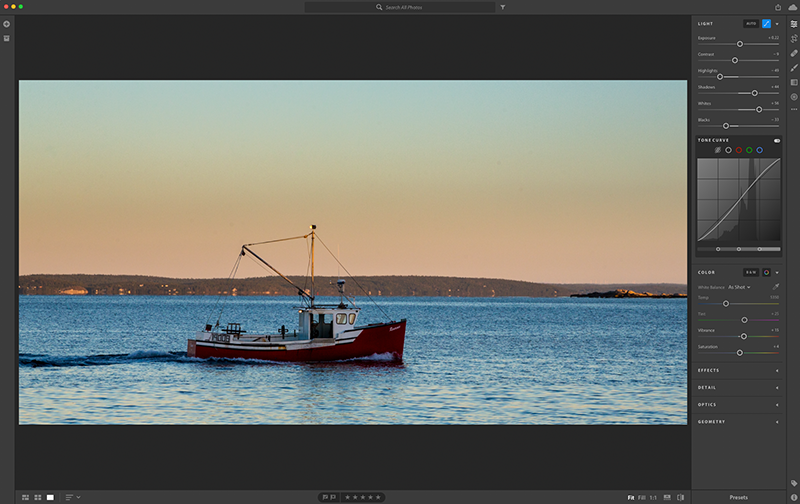 More details on the December updates to the Lightroom CC Ecosystem can be found on the Adobe Lightroom Blog page. This entry was posted in Adobe, Adobe Camera Raw, Adobe Photoshop Lightroom, iOS, Lightroom CC, Lightroom Classic, Lightroom mobile, Lightroom Tone Curve. Bookmark the permalink.